Welcome to Day 5 of our 12 Days of Children’s Books Gala Giveaway. I’m part of an amazing group of writer friends who specialize in writing engaging nonfiction for kids. We’re the Nonfiction Ninjas! Each day for for 11 days we’re offering you the chance to win a free children’s book. Great for your little ones, for the classroom, for homeschooling families, and for libraries everywhere, these books are AWESOME! And they’re written by these talented gals I’m fortunate to know as my writing buddies. During the giveaway, you’ll get to learn more of the story behind the story of each of these books. Plus you get to meet each member of the Nonfiction Ninjas! How great is that?! Then, on the last day, Day 12, I’ll announce here on my blog the list of winners for each one of the books featured in this giveaway. So join in the fun. Every day for these 12 days! Here on my blog!! Hip hip hooray for today’s featured book in our 12 Days of Children’s Books Gala Giveaway! One of you will be our winner for today and will be receiving a free copy of this brand new holiday book in your mailbox. Nancy, thanks so much for visiting my blog today and offering readers the wonderful chance to win a copy of your newly released children’s book. Nancy, can you share with us what your book is about? THE QUEEN AND THE FIRST CHRISTMAS TREE, QUEEN CHARLOTTE’S GIFT TO ENGLAND is the true story of Queen Charlotte, the kind queen who cared about orphans and people in need, and introduced the first Christmas tree to Windsor Castle in 1800. She was married to King George III, the king at the time of the American Revolution. Curiosity! I always wondered how the tradition of the Christmas tree got started. Many people associate it with Queen Victoria and Prince Albert. I found out that Queen Charlotte, who was Queen Victoria’s grandmother, was the first to delight children with a tree decorated with candles and nuts and candies. However, it was not until the Illustrated London News published a drawing of Queen Victoria and her family around their tree in 1848 that people became aware of her annual tradition and wanted trees of their own. When Godey’s Lady’s Book published the picture two years later in America, many Americans wanted trees, too. What do you hope it will leave the kids thinking about? I hope it will leave the kids thinking that royalty is not just about tiaras and dressing up for balls. Queen Charlotte didn’t like either of those things. Instead, she and King George were the first royals to make charitable giving part of royal duties. In Queen Charlotte’s honor, I’ve launched A KIND HOLIDAY project on my website. (CLICK HERE to visit.) I hope parents and teachers will share stories of kids who are doing kind things for others at whatever holiday they celebrate all year long. Thanks, Nancy! It was great to hear more of the “story behind the story”! And best wishes on the launch of your new book. Hey everyone. Hop on board and join the fun!!!! You can enter your name once today for a chance to win a free copy of today’s featured book by one of our members of the Nonfiction Ninjas! All it takes is 2 easy steps. Share this post on your favorite social media sites. It’s easy! Just click on the sharing buttons below to post this event and let your online friends know. Go to Rafflecopter and enter to win! CLICK HERE to go to Rafflecopter and enter your name in the contest. 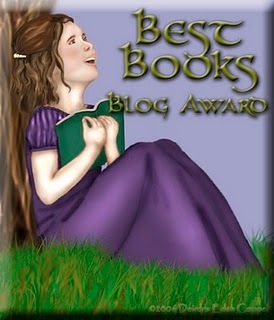 Be sure to stop back here on my blog tomorrow for Day 6 of our Gala Giveaway. You can enter your name for a chance to win our next featured children’s book. We’re giving away 11 amazing children’s books during our Gala Giveaway. And on Day 12, we’ll announce the winners, here on my blog. I hope you’ll be one of them! But hey…why wait until the giveaway is over to get your hands on this children’s book? It’s great for your holiday gift list…Christmas is just around the corner! It’s perfect for the classroom or to donate to your local library. And your kids or grandkids can enjoy what’s sure to be a brand new Christmas classic. You can buy it today on Amazon or at your favorite online bookstores! I agree! Such an amazing book by a very gifted author. Thanks for joining in our giveaway! What a wonderful story about the Queen by one of the queens of nonfiction! Thank you, Nancy I. Sanders, for the interview with the other Nancy. Queen meets queen meets queen! Mona, you are a gem! So glad you are part of our special event! This looks like the perfect book for Christmas. Thanks to both Nancys! You’re welcome, Peggy! It’s so fun to learn more of the story behind the story. Will be ready to look this book up, as I have not read it before. Thank you for posting these books for Christmas. You’re welcome! Thanks so much for joining in our event!!! I met Nancy at a writing conference. What a generous and talented gal. Happy to read of all her successes. I would enjoy winning this one! It was so great to meet you Sherri. Hope we meet again soon! I’ve loved every book Nancy Churnin has written so far…and this story is no different. She has a gift of uncovering golden nuggets and then bringing them alive for young readers. She’s one of my favorite critique buddies and kidlit people and I thank you so much, Nancy Sanders, for featuring her today! Nonfiction ninjas…I love it! So glad to hear from you Vivian! And yes, Both Nancy C. And her books are gems!!!! Perfect for the holiday season! What a great unusaul topic. Congrats Nancy!